All our beauty services take place in our branch in Dun Laoghaire Shopping Centre. Here you can expect to find all the typical beauty treatments you would expect at your local salon, from waxing to tanning and general maintenance. Have a look at some of our treatments below. If you have any questions, please get in touch. For additional information on our salon services, get in contact with Lily Lee Beauty Clinic today. To book a waxing appointment, get in contact with Lily Lee Beauty Clinic today. 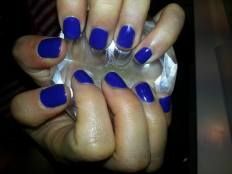 A luxury hand treatment with hand exfoliation, cuticle work, specialised massage, nail strengthening and a hot paraffin wax treatment. This intensive treatment is Ideal for those with painful arthritis and/or dry hands and brittle nails. 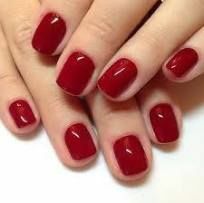 To book a hand treatment, get in contact with Lily Lee Beauty Clinic today. 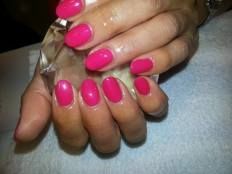 To book a nail treatment, get in contact with Lily Lee Beauty Clinic today. Walk on air after our luxury foot treatment. Pamper your feet, soak, exfoliate and remove rough skin. Indulge with a specialised reflexology massage and hot paraffin wax treatment. This intensive treatment is Ideal for those with foot pain, arthritis and/or dry problematic feet. This medical treatment will remove corns, painful callus, dry skin and broken off skin from the foot that has built up over time it might look unsightly or discoloured & callus can be painful. Treatment will include intensive foot work and buffing off thick discoloured fungal nail infections, needed prior to fungal nail removal. This amazing treatment will leave your feet feeling brand new. Reflexes in the feet correspond to all the organs & parts of the body. Sometimes due to stress & frantic lives, excess calcium salts & uric acid can build up deposits & tensions in our feet, causing a blockage of energy flow throughout the body. By applying pressure on the feet, these blockages are released, allowing the energy flow to become restored, encouraging the whole body to heal at its own pace in a natural way. This holistic therapy is extremely popular in our salon and part of our Delux Pedicure Treatment. 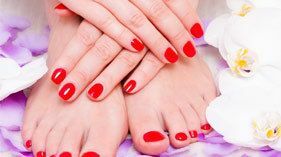 To book a foot treatment make an appointment with Lily Lee Beauty Clinic today. Please note: a 48 hour patch test is required prior treatment. Unlike a traditional lash perm, LVL enhances straightens your natural lashes at the root, creating the appearance of longer, thicker lashes. Plus the added lash tint creates a mascara-style effect, so you're lash perfect from the moment you wake up. For more information on LVL lashes or to book an appointment, get in contact with Lily Lee Beauty Clinic today. For additional information on our eyelash extensions, get in contact with Lily Lee Beauty Clinic today. To book a message, get in contact with Lily Lee Beauty Clinic today. To book a pregnancy massage, get in contact with Lily Lee Beauty Clinic today. Using the latest technology we can remove that unwanted hair. Suitable for red or fair hair, unable to use laser. To book an electrolysis hair removal treatment, get in contact with Lily Lee Beauty Clinic today. Jane Iredale Mineral skin care makeup is one of the leading mineral makeup in the world. It does not clog the pores and allows the skin to breathe. It is long lasting ensuring you won’t need any touch ups during your day/ night. It is UVA and UVB protective and will leave your skin looking and feeling flawless. To make a make-up appointment, get in contact with Lily Lee Beauty Clinic today. Leave your skin looking and feeling flawless with Jane Iredale mineral skin care make up. This beautiful, ALL-NATURAL makeup is so beneficial for ALL skin types. We spend so much of our time choosing the correct skincare, then apply harsh makeup products to our skin and wonder why we keep getting acne, blocked pores or irritated skin. You can use Jane Irendale with confidence, even if you have the most sensitive skin. Explore the world of JANE IRANDALE. The skin you’ve always wanted is just a brush away. Functions and house calls available, on request. Specialist advice and products, available in store. 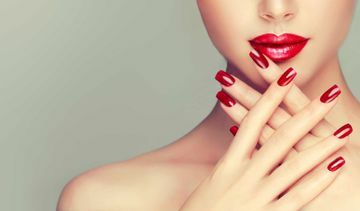 To book an appointment with one of our fully qualified, beauticians, get in contact with Lily Lee Beauty Clinic today. Glow this year with a natural, even tan. We use a wide range of tanning products to suit all our client’s needs, including St Tropez, Tan Organic, Crazy Angel, Tan Truth and Sun FX. To book a luxury spray tan, get in contact with Lily Lee Beauty Clinic today. This Diamond treatment gives exceptional results. With the use of diamonds, it intensely exfoliates and resurfaces the skin. It is the leading skincare treatment for complete skin rejuvenation. Microdermabrasion uses a highly controlled flow of fine, medical grade DIAMONDs to remove the dead, outhermost layer of the skin. This skin exfoliation process reveals the new, living cells that are soft, smooth and receptive to nutrients.